Allah Ta'ala has granted all kinds of greatness to the Holy Prophet (Sallallahu alaihi wa sallam) and has made His blessed name also of the same grandeur. Please go through what Shaykh Ul Islam Imam Muhammad Anwarullah Farooqui, the founder of Jamia Nizamia, has written about this. Prophethood, which is a great station in the kingdom of Allah Ta'ala, started with Him, as the Holy Prophet (Sallallahu alaihi wa sallam) says that He (Sallallahu alaihi wa sallam) has been a Prophet even when Prophet Adam (peace be upon him) was not yet created. (Jame' Tirmidhi, Hadith No. 3968; Mustadrak Alas Sahihain, Hadith No. 4174; Musnad Iman Ahmed bin Hambal, Hadith No. 17075). Then all the Prophets have been made like His Ummah, as it was not only commanded that they believe in Him, but their acknowledgement was taken with much seriousness. This shows that all the Prophets are His Ummah. For this reason, on the Day of Judgment, all the Prophets will be under His standard. In the night of Meraj, the status of the Holy Prophet (Sallallahu alaihi wa sallam) was shown to all Prophets. Thus, the Holy Prophet (Sallallahu alaihi wa sallam) was made the Imam and all the Prophets followed His lead. When this is the state of all the Prophets, then what reservation is there in accepting that their Ummah are the Ummah of the Holy Prophet (Sallallahu alaihi wa sallam)? Although Prophet Moosa (peace be upon him) is included in His Ummah virtually, when he saw the excellence of the main Ummah of the Holy Prophet (Sallallahu alaihi wa sallam), he desired that he should be included in them physically as well. In the spiritual worlds, for the fame of His name, the method used is that Allah Ta'ala has written His name, "Muhammad Rasulullah," on the 'Arsh and at different places in each heaven, on the plants/trees of Jannah, on each leaf of Tooba and Sidratul Muntaha, on the bosoms of the damsels of Jannah and on the foreheads of the angels. As long as Prophet Adam (peace be upon him) did not pray through the Holy Prophet (Sallallahu alaihi wa sallam): O Lord! For the sake of Hadhrat Muhammad (peace be upon him), forgive me.," forgiveness was not granted. This is also mentioned in many other Hadith, which are mentioned in Khasaais Ul Kubra, Mawahib Ladunniya, Shifa of Imam Qazi Iyaz, which shows that the blessed name of the Holy Prophet (Sallallahu alaihi wa sallam) is written all over the spiritual worlds. The objective of this is obvious that all the denizens of the spiritual worlds understand that there is no one more beloved to Allah Ta'ala than the Holy Prophet (Sallallahu alaihi wa sallam). Thus, this is what Prophet Adam (peace be upon him) thought and desired forgiveness through the Holy Prophet (Sallallahu alaihi wa sallam). Now let us see why this blessed name was ordained for the Holy Prophet (Sallallahu alaihi wa sallam). The fact is that praise, "hamd" is much liked by Allah Ta'ala, as is established in the Hadith. For this reason, the Holy Quran starts with "Alhamdulillahi Rabbil Alameen". Now see that all praise is established for Allah Ta'ala, which means that everyone is a "Hamid" (one who praises) and Allah Ta'ala is "Mahmood," then what is the hesitation in saying that Allah Ta'ala is "Muhammad"? i.e. one who has been praised. In spite of all this, Allah Ta'ala has individualized this name from time immemorial for the Holy Prophet (Sallallahu alaihi wa sallam) and from the beginning of creation, has made it famous in the spiritual worlds, so that it becomes obvious to the denizens of Jannah that the one to whom the name which signifies the Lord Almighty Himself is given, He must indeed have no comparable in the whole world. This proves without doubt that there is no one comparable to the Holy Prophet (Sallallahu alaihi wa sallam), as now it is impossible that somebody else should be "Muhammad" from time immemorial and this also shows that how much ever the Holy Prophet (Sallallahu alaihi wa sallam) is praised, it is a means of pleasing Allah Ta'ala. Otherwise, what else would have been intended in granting this honorofic? That is why the Holy Prophet (Sallallahu alaihi wa sallam) would be pleased on listening to couplets in His praise (Naat), as it is a means of pleasing Allah Ta'ala. It is written in "An Nahjatus Sawiyya" that the title of the Ummah of the Holy Prophet (Sallallahu alaihi wa sallam) has been mentioned in the past divine books as "Hammadeen" (those who praise). No wonder if this title implies that they will praise their Prophet (Sallallahu alaihi wa sallam) greatly. Although, there are other names of the Holy Prophet (Sallallahu alaihi wa sallam), but as this blessed name is most beloved to Allah Ta'ala, our faith (Iman) has a special relationship with this name. 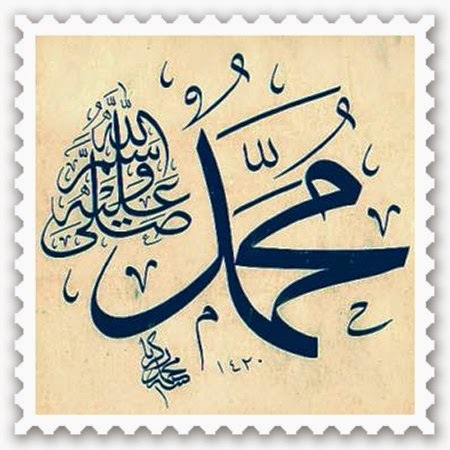 Thus it is written in "An Nahjatus Sawiyya," that as long as a disbeliever does not say "Muhammad Ur Rasulullah," his faith is not perfect and saying "Ahmed" instead is not enough.